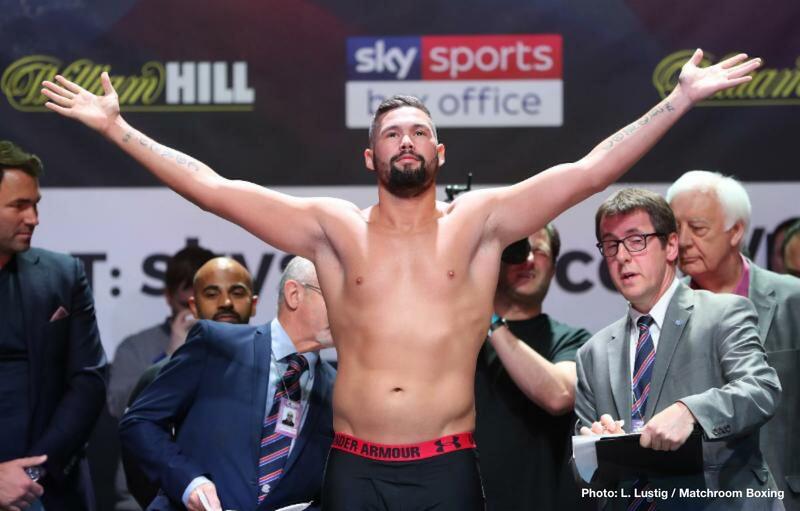 Tony Bellew says he “dares to be great,” and that the way he can get there is with a win over current four-belt cruiserweight king and pound-for-pound entrant Oleksandr Usyk. Speaking with Sky Sports, the former WBC cruiserweight champ said that he feels the fight is “inevitable” and that he is back in training for what he fully acknowledges will be a tough task getting back down to the 200 pound weight limit. As fans know, Bellew has been fighting up at heavyweight these past months, twice upsetting former WBA champ David Haye. But now, with the chance to make British boxing history driving him on – that and the opportunity to achieve greatness – Bellew is back taking aim at the best 200-pounder in the world. And Bellew fully believes he can defeat Usyk, this year, in what he says will absolutely certainly be his career finale. Promoter Eddie Hearn met Usyk’s guy Alexander Krassyuk in France earlier this week and reports say the talks went well. Bellew could now be just months away from the biggest fight of his entire career. Bellew, who has been something of a career underdog – entering fights with Adonis Stevenson, Illunga Makabu and Haye as the betting outsider – would almost certainly be the underdog against Usyk, but “Bomber” is not a fighter to underestimate. If he could pull this one off, what an incredible achievement it really would be for the warrior from Liverpool. In fact, if Bellew did beat Usyk, would such a victory, along with his big wins over Haye (twice) Makabu and Nathan Cleverly (along with his biggish wins over Ovill McKenzie (twice) Edison Miranda, BJ Flores and maybe one or two others) be enough to secure Bellew a place in The Hall of Fame?